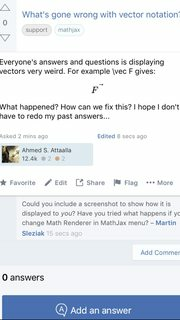 Browse other questions tagged support mathjax ios-app . Square Brackets are not displaying correctly. The ping system doesn't seem to work for me. Trouble in editing answers and comments.